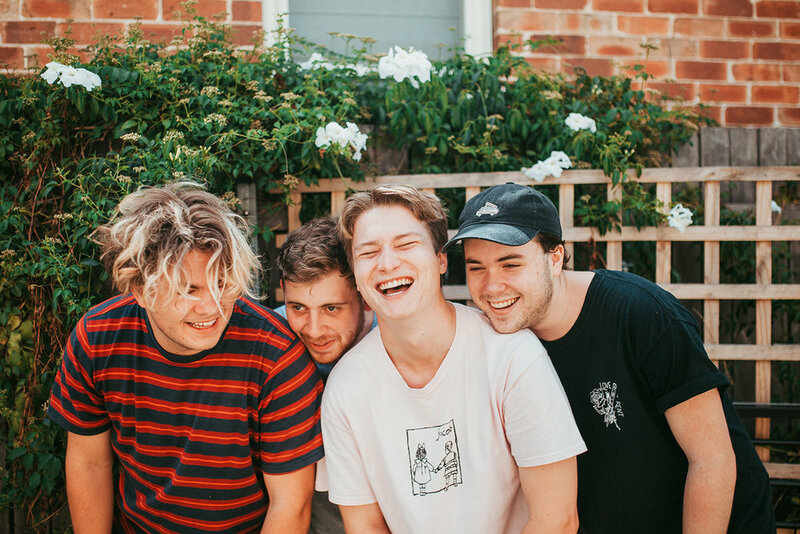 Newcastle's resident punks Split Feed have returned with their new single 'Something More', followed by an 8-date tour run featuring sold out shows, and being hand selected by triple j Unearthed to open Groovin’ The Moo, Maitland. Exploring the idea of falling short of your goals, 'Something More' is a metaphorical middle finger to all of those who don't believe in you, “It's to the people who surround you telling you to give up, and the anxiety that follows" explains vocalist/lead guitarist Joseph Willis. Reminiscent of iconic bands such as Luca Brasi and Basement with a splash of '00s nostalgia, 'Something More' serves as a perfect introduction back into the punk scene following the release of their Late Bloomer EP (2017) and Googolplex EP (2015). "If nature won't select me, then I'll make it wish it did"
In joining forces with producer/engineer Clayton Segelov (Dear Seattle, Columbus, Sleeping With Sirens, Full Of Hell, Vices) the band have adopted a more mature and refined sound. Frontman Joseph breaks down the theme of the track; 'Something More' is "somewhat of a 'how dare you' statement towards myself, for palming off the notion that everybody starts in the same place, and everybody works just as hard as anyone else to be where they are now, it's how hard you work and how passionate you are towards your goal which will determine your place in your scene." Having shared the stage with punk rock heavyweights The Living End, The Bennies and The Hard Aches, Split Feed will continue to captivate audiences with their huge sing-alongs through the rest of 2018.